I know, Pickle!!!??? Well it goes like this…. Our wonderful Wildlife Guide Brett and his partner Jess wanted to call a koala joey Pickle in 2017. I (Janine) resisted as I thought it was a bit of a tough name to grow up with. 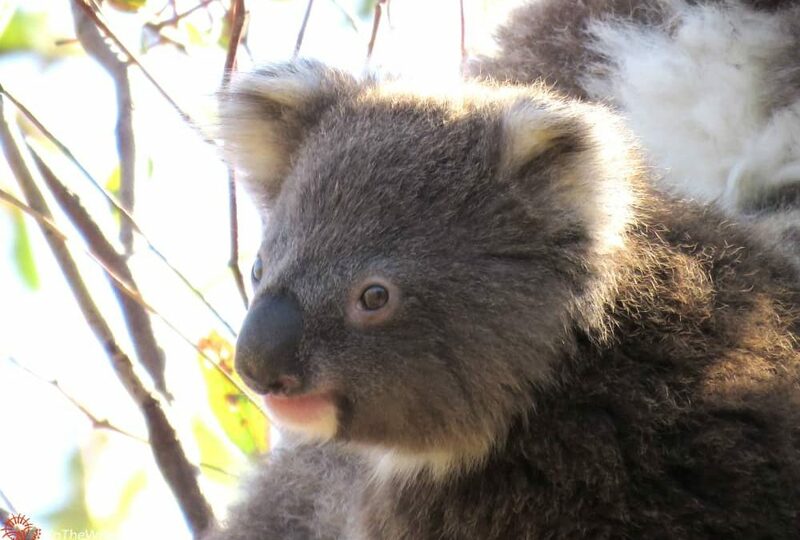 Then one day in 2018 our Koala Researchers had no luck finding koalas. 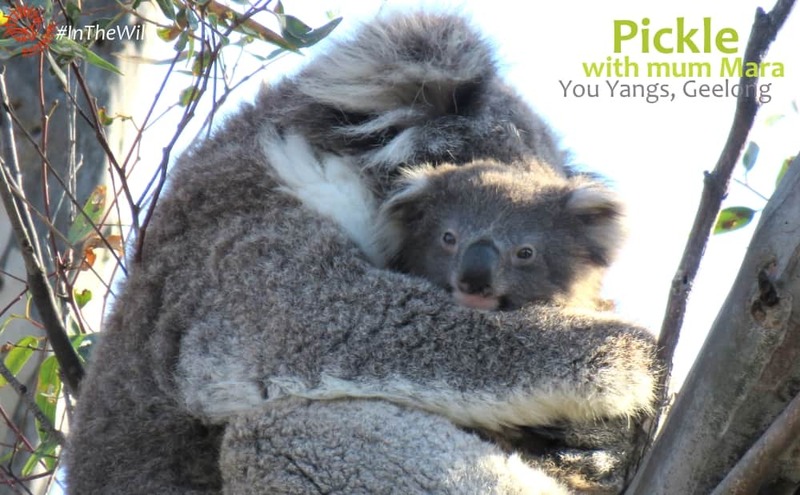 Brett was having a much-deserved day off, but changed his plans and high-tailed it out to the You Yangs to help out. Sure enough he found a koala, with a joey. After that I had to reward him somehow. So the joey became Pickle, in his honour. First seen as a baby bump on 17 July 2018, then out of the pouch on 24 July 2018. So that means Pickle would have been born around mid January 2018. As a joey with mum Mara, Pickle has been seen 15 times in 2018, just since July. They have become like a superstar attraction – Pickle is often very active and curious. Pickle’s mum is Mara, and dad is probably Winberry. Pickle has one known sibling: Bo born 2016. Through Winberry Pickle has lots of half-brothers and sisters. At the moment, Pickle’s neighbours are Mara’s neighbours: Winberry, Mabo, Djadja, Wemba & her joey Djaki. But after the end of 2018, things might change. If Pickle is female, she might stay nearby. But if he is male, he will probably leave and we may never know where he ends up living. However some of our male joeys have stayed in our research population. Clancy is the best example – 8 years old now, and still part of our population – and young Lluvia, Misty’s son, is still around too. How do we know all this about Pickle ?